In December 2015 Austal entered into a contract with the National Australia Bank to construct two Cape-class Patrol Boats (CCPB's) for the Royal Australian Navy, following the delivery of 8 CCPB's to the Australian Border Force over 2013-2015. The two vessels were delivered to the Royal Australian Navy in April and May 2017 and are under charter to the Commonwealth of Australia (Department of Defence) for a minimum term of three years. The vessels are being sustained by Austal, in accordance with the in-service support contract for the 8 existing CCPB's owned and operated by the Australian Border Force. 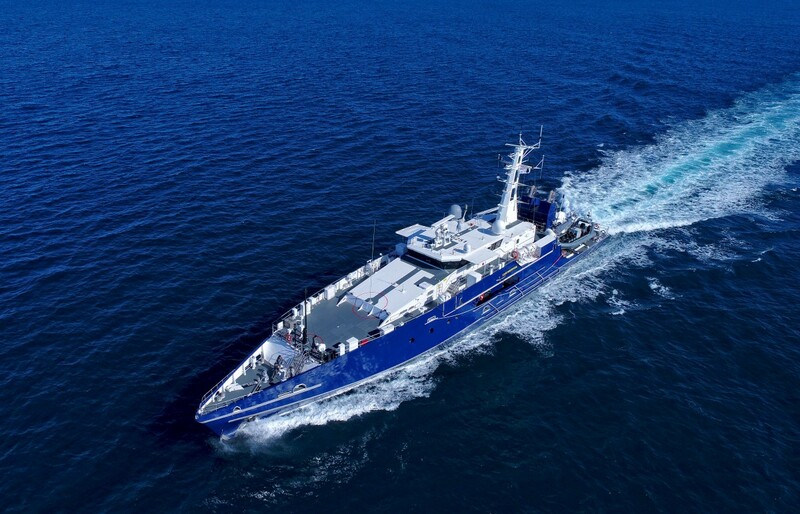 Austal’s Cape-class patrol boat is a 58 metre aluminium monohull vessel, designed to perform border protection and maritime security tasks, with a top speed of 26 knots and a range of up to 4,000 nautical miles. With a crew of 22, the vessel is capable of undertaking 28 day patrols in (up to) sea state 4 and the ability to launch two boats simultaneously.